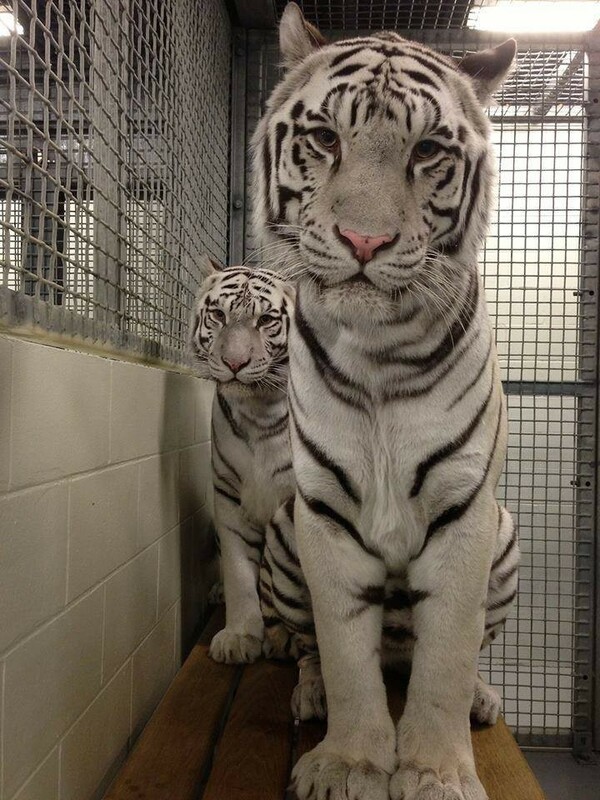 Four white Tigers living in Houston haven’t see the sun for 12 years. These same Tigers haven’t been able to feel grass or earth under their feet either. 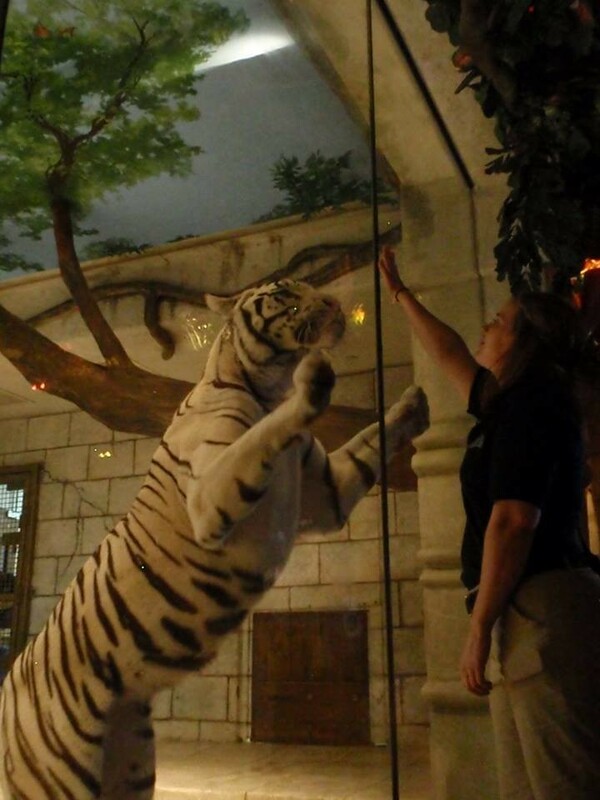 In 2004, the four Tigers, who were bred in captivity, were sold to an indoor aquarium in Texas called the Downtown Aquarium and has a second-floor restaurant, and the aquarium is on the first. The four white Tigers — Nero, Marina, Coral and Reef, all between the ages of 12 and 13 — are the residents of the aquarium’s “Maharaja’s Temple” ‘attraction’. The indoor exhibit has the tigers roaming inside a concrete, movie-set-like space with only a glass barrier giving them access to a view of the outside world. Sadly, that world consists only of visitors who line up to gawk at them. When the Tigers aren’t on display, they reside in the backroom holding areas not visible to the public, confined to cells. “The dungeon-like conditions that the tigers are forced to endure at Houston’s Downtown Aquarium harm their physical health and psychological well being, and deny them much that is natural and important to a Tiger,” Dr. Jennifer Conrad, a veterinarian with the Animal Legal Defense Fund (ALDF), said in a statement. For now, the fate and future of the four white Tigers, who have never known a life spent in a natural habitat, hang in the balance. But there is hope that after 12 years, the right thing will finally be done for them — because 12 years is far too long for any animal to live such a confined life behind glass and bars. In this post-Blackfish era, an enlightening public is turning away from the notion that displaying animals for purely entertainment reasons, and without any regard to their complex species-specific needs, is ever appropriate. Please save these beautiful animals. I’m signing for those who cannot sign or speak for themselves. These beautiful Tigers have the right to lead as natural as now possible life! Disgusting. Wild animals do not belong in prison. I would never visit an establishment that allowed this. The human race should not be savages at this point. Enough. This is evil and cruel they need to get out of this hell. Do you ever stop and think how you have robbed these tigers of their lives? Please move these babies to a tiger sanctuary! !